If you are a dog owner then you know how hard it is to find a dog bed that is suitable for your dog. A lot of times the dog will just end up tearing up the dog beds within in a few months. Dog’s also like elevated areas in your home to sleep on such as couches or even your own bed. Here I will suggest some of the raised dog bed purchases that will solve this problem. These dog beds are also indestructible dog beds meaning, it is not mushy and dogs don’t find fun in ripping them apart. I have been through many dog beds for my Pit Bull but she will tear them apart eventually. She also likes to sleep on elevated areas and is always looking for a chance to climb up on my bed. These raised dog bed ideas are a lifesaver for me. If you are having the same problems as me with your dog, I am sure it will be a relief for you as well. The first one I recommend is the Coolaroo Large Steel-Framed Pet Bed, it is a cheap option for anyone who wants a cheap raised dog bed alternative. It comes in a variety of sizes and colors and received many positive reviews from purchasers on Amazon.The most popular size is large and it costs $39 on Amazon and the medium costs $30. This raised dog bed (large) will be perfect for Labradors, German Shepherds and the (medium) will be good for smaller dogs such as Beagles. My second favorite raised dog bed is the Maze Pets 9303 Cool Cot Elevated Pet Bed, it comes in both large and medium sizes. 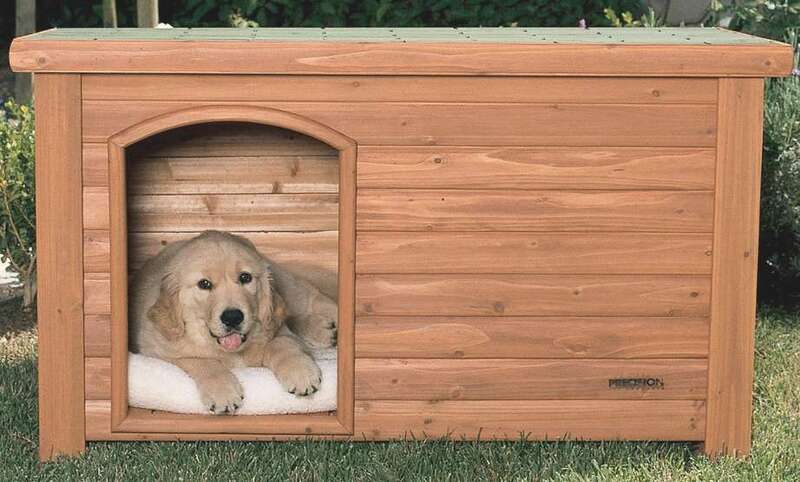 I especially like this bed because it provides more width for your pet to move around. This pet bed is washable and the cot keeps your pet cool in the warmer months. The large size goes for $45 and the medium costs $35 which is not too costly. The pet bed is portable and perfect for indoor or outdoor use. It is also machine washable which is good news for many dog owners. 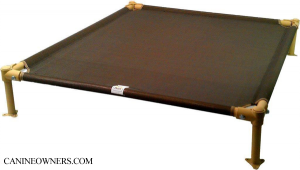 The last raised dog bed that I recommend is the New Age Pet Raised Pet Bed, espresso, X-Large. This is a perfect dog bed for someone who has giant breed dogs, this bed can hold a dog up to 140 pounds. This bed also have a furniture like look which may blend into your home environment. The padding on this bed is also washable so no worries there. At a price tag of $173 this bed is costly but definitely worth looking into. It is easy to assemble and can be done within 10 minutes without any tools. All of the products listed here are off very good quality and you can choose them depending on your specific needs. Your dog will thank you for the level of comfort that you have provided for them. I am a firm believer of the saying “dogs are family”. If you enjoyed my article kindly share it on social media websites. Subscribe to our blog and check back for more interesting dog posts. Best Dog Shampoo & Conditioner Reviews – It’s Doggy Bath Time!